This is one of the most important issues our country faces right now and it demands everyone’s attention or else the consequences could be catastrophic. 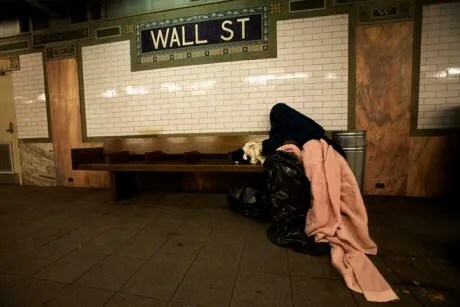 Breaking Inequality is a documentary film about the corruption between Washington and Wall Street that has resulted in the largest inequality gap in the history of America. It is a film that exposes the truth behind the single event that occurred back in the early 70’s that set us off on this perilous journey that we are currently on. The inequality gap is presently the worst that it has ever been and there is no solution in place to repair this crippling problem. No country in the history of the world has ever remained a super power without a middle class and the road we are currently traveling doesn’t include this all-important segment of the population. The old saying “As goes the middle class… so goes the nation” holds true even more today than ever. We live in a world where governments can create as much money as they want in order to fund all kinds of wasteful projects, wars, handouts, and banker bailouts. The current system by design has transferred the wealth from average everyday Americans to an elite few who care not about the majority. Breaking Inequality exposes the truth behind the root of the problem and it provides a solution to help end it. Our goal is to make enough Americans aware of the current system that is robbing them of their future, so that we can change the system all together. We have to change our destiny or the middle class will cease to exist in the United States of America. The time is now and the Breaking Inequality documentary will help lead this charge!